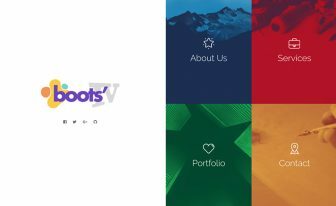 Free Bootstrap 4 HTML5 one-page portfolio website template. 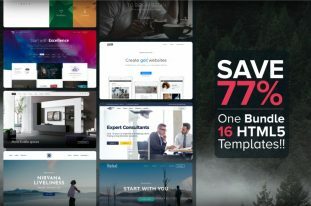 You are getting some fantastic modern features like an animated portfolio gallery, classic slider, sticky top navigation, on-hover effects, testimonial carousel included in the package. 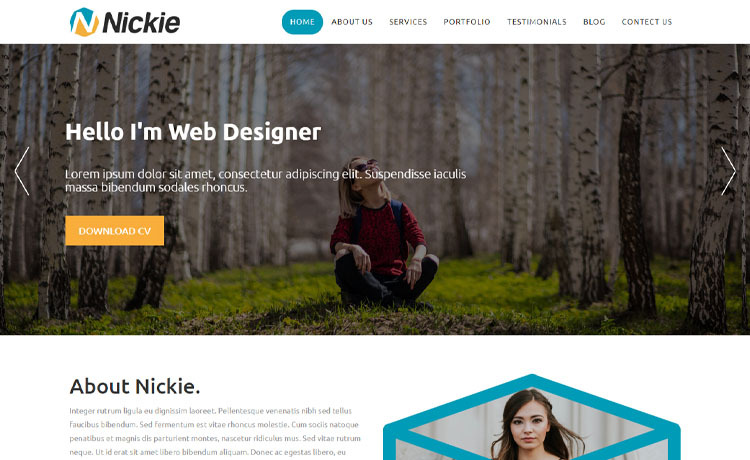 Nickie- a well designed free Bootstrap 4 HTML5 one-page portfolio website template. It is a suitable tool for presenting your brand, small business, consultancy business. 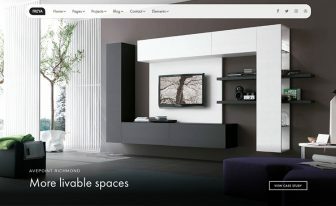 It follows the latest web technologies and rules and is fully responsive. Eight unique UI layouts with clean and minimal design make it look good on any device. 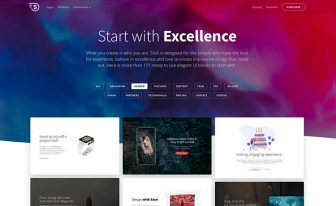 You are getting some fantastic modern features like an animated portfolio gallery, classic slider, sticky top navigation, on-hover effects, testimonial carousel included in the package. There is a blog section to write about your business and reach to the maximum number of potential clients through it. Beautiful typography and FontAwesome icons have been used in this template to make it look more attractive. A working contact form is in the box to save your time and make your customization faster. Do your project with Nickie and get the satisfaction with perfection. Thank you for downloading Nickie. 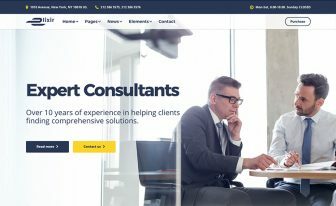 Here are three recommended free Bootstrap 4 HTML5 one-page portfolio website templates.